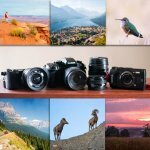 This post may contain a few affiliate links, meaning if you make a purchase through them I may earn a small commission at no extra cost to you! As an Amazon Associate I earn from qualifying purchases. 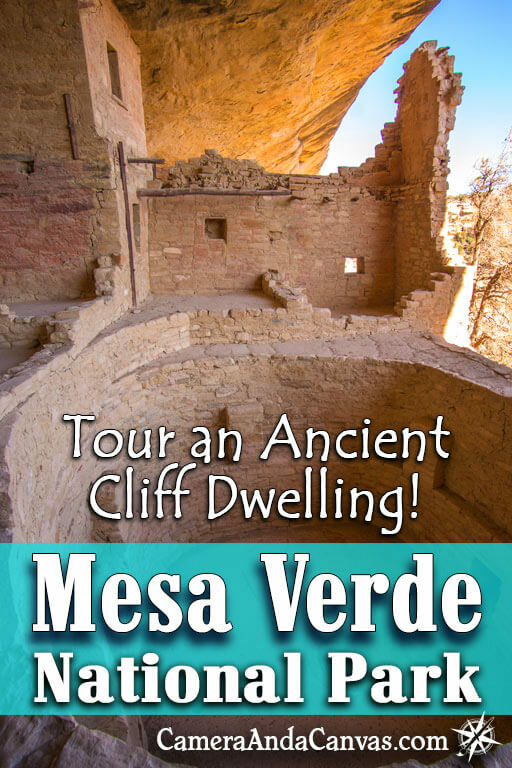 Ever wanted to go inside and see up close one of those famous ancient cliff dwellings? 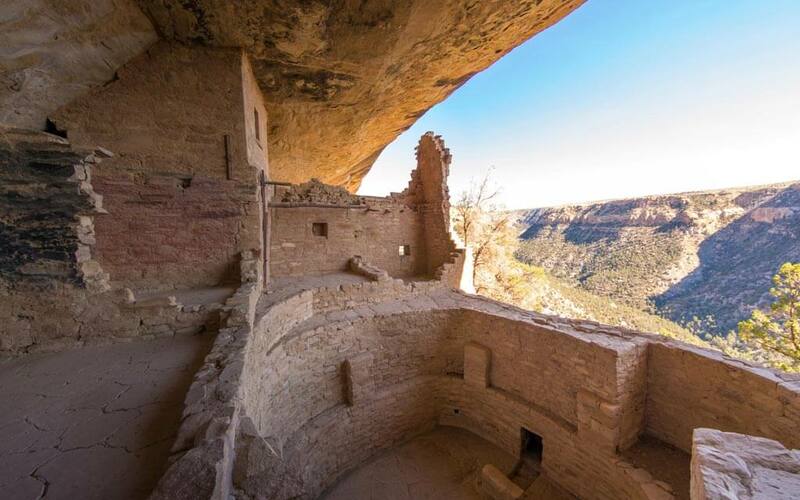 Mesa Verde National Park has tours for 3 of them: Long House, Cliff Palace, and Balcony House. If you visit I highly recommend taking one of the tours-or if you’ve got time, do all 3! 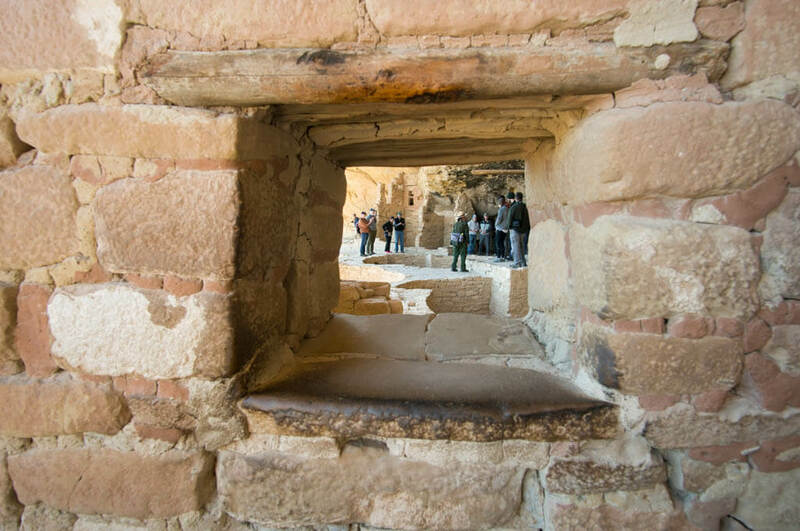 They’re inexpensive and it will get you up close with an amazing archaeological wonder! Chapin Mesa Archeological Museum – located inside the park. 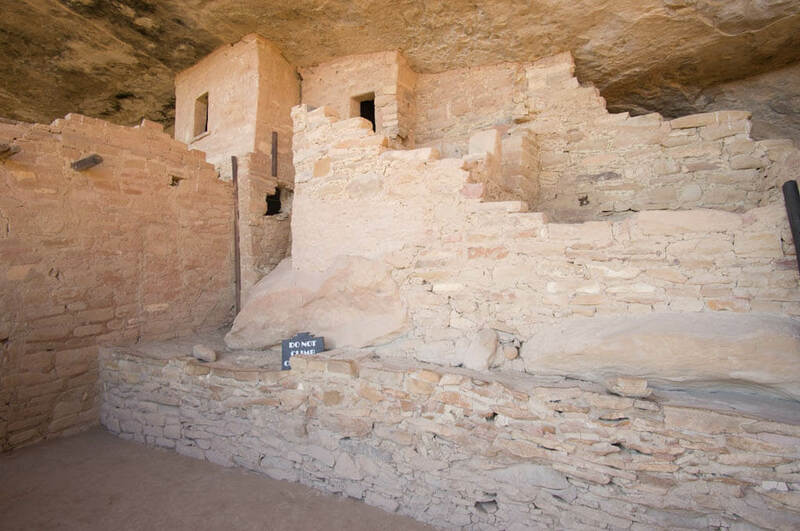 Since we were only at Mesa Verde for 2 half days, we only had time to take one tour, and we chose the one for Balcony House. 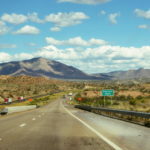 Our tour started at 9am and we met in the parking lot of Balcony House located on Chapin Mesa. It was a fairly large group of around 20-30 people, and composed of people of all ages. The only real challenge on this tour-and they do warn you about the difficulty before you buy the tickets, was that you had to climb a 32 foot(10 meter) wooden ladder, go through an 18 inch(45cm) wide tunnel, and climb another ladder at the end. So if any of that doesn’t appeal to you, you may want to try a different tour. As a reference on ability, there was a young couple with their daughters; one being a baby strapped in with a special child carrier backpack, and 2 others of around 5-7 years of age. There were also older people in their 60’s and 70’s on the tour. Everyone made it up the ladders just fine-so you don’t have to be in excellent shape or anything, just be able to walk and climb a ladder! 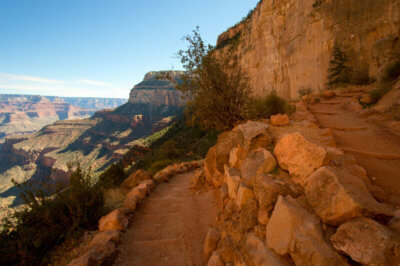 We started out walking down a long staircase and onto a path that followed the canyon below the mesa top. After a bit we came to the base of the cliff dwelling. This is the part where you have the big wooden ladder to climb! I have to say I was slightly nervous-but it was really easy. The rungs of the ladder were wide and you had plenty to grab onto. Two people were able to go up at a time, so if you have a partner with you and you’re a bit scared just climb up together! There’s no rush either, you can take your time as needed. 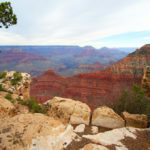 The views of the canyon were amazing as we walked along the path. Climbing the big, 32 foot wooden ladder! This was the easy way up. 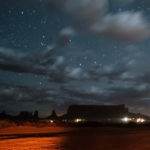 The Ancestral Puebloans who used to live here many times climbed the rock-hand and toe holds were found that they had used. 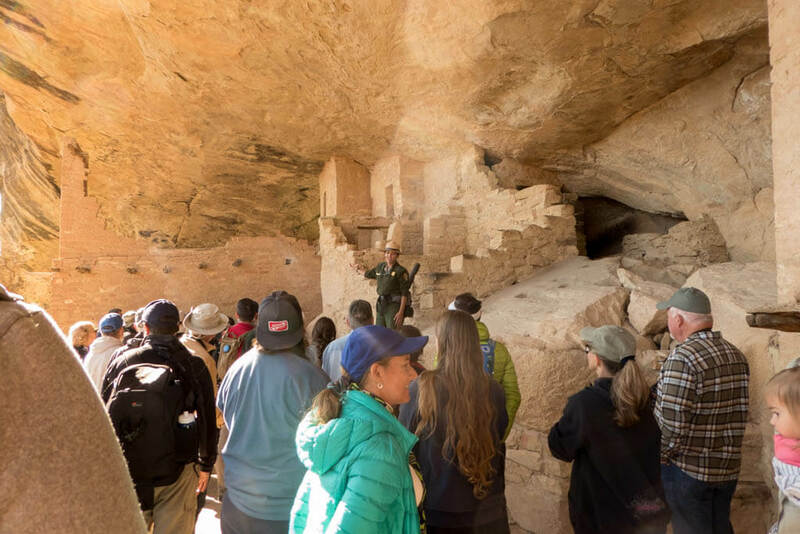 After everyone was up at the top, our park ranger guide went on to explain a lot about the history of the Ancestral Puebloans, how they built the dwellings, what purposes the different rooms and buildings had, etc. She was very friendly and knowledgeable. I have nothing bad to say about any of the rangers we met in the National Parks so far-they’re all nice and helpful! One of the 2 narrow passageways you had to go through. 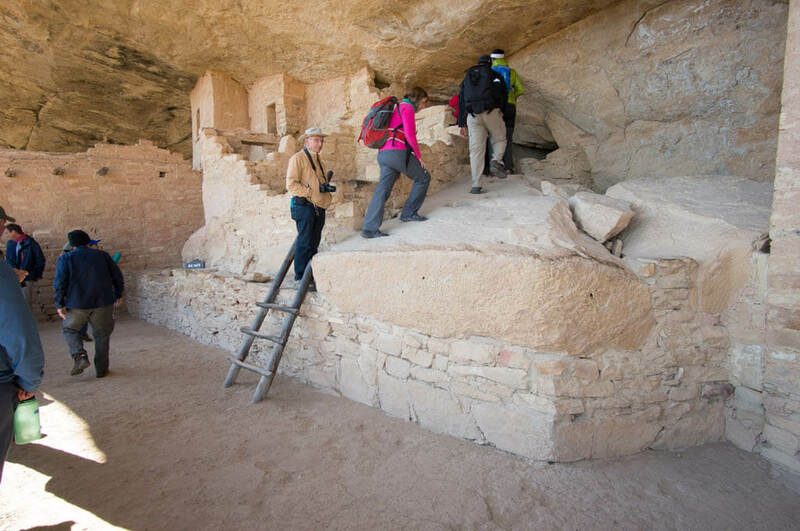 We walked the whole length of the cliff dwelling, and there was plenty of time to get a lot of photos and look around. Some parts were off limits, but I really felt like they let you inside enough of it to get a good feel of the place. A small baby ladder we climbed up, and onto the carved foot holds. The view from the balcony was amazing. Imagine waking up to that every morning! 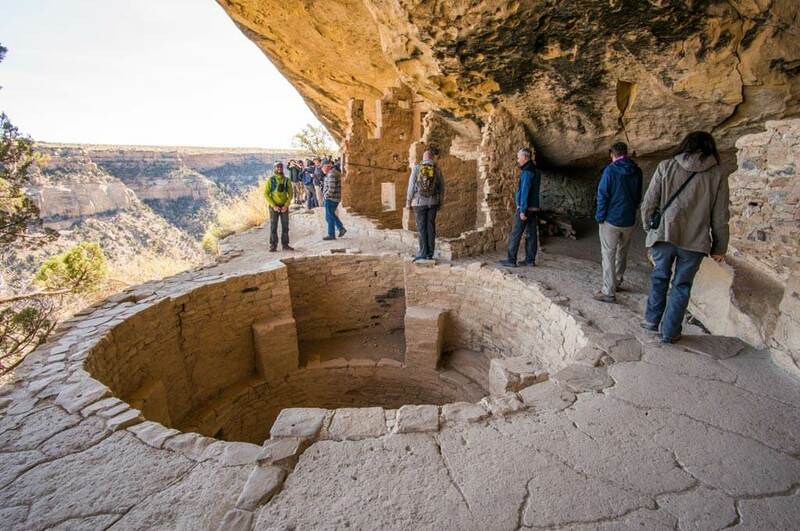 The round hole in the ground is called a Kiva. They are said to have been used for religious or ceremonial purposes. As you can see the dwelling was right at the edge of the cliff! Only the first part had the stone wall balcony as a barrier there. Those stone slabs on the ground are called “Metates”, which they used to grind things with. 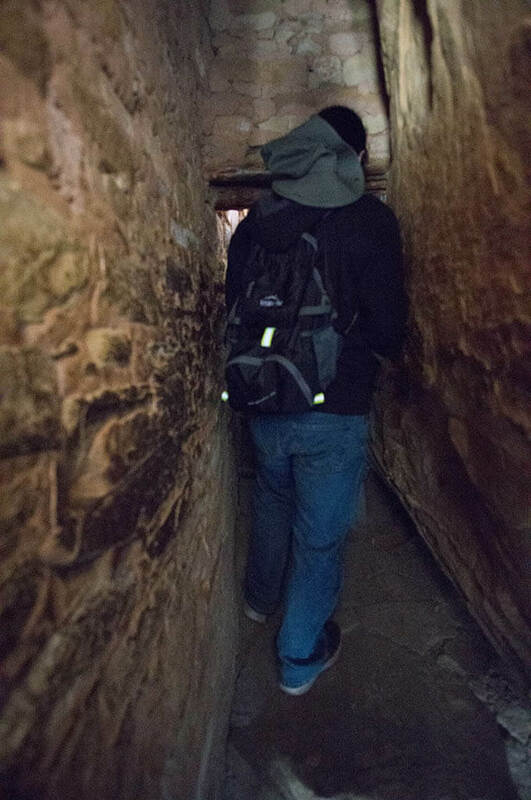 This was the small, narrow, 18 inch wide passage at the end of the tour. You had to basically crawl through the opening, but the passage itself wasn’t long and was easy to get through even with a backpack on. 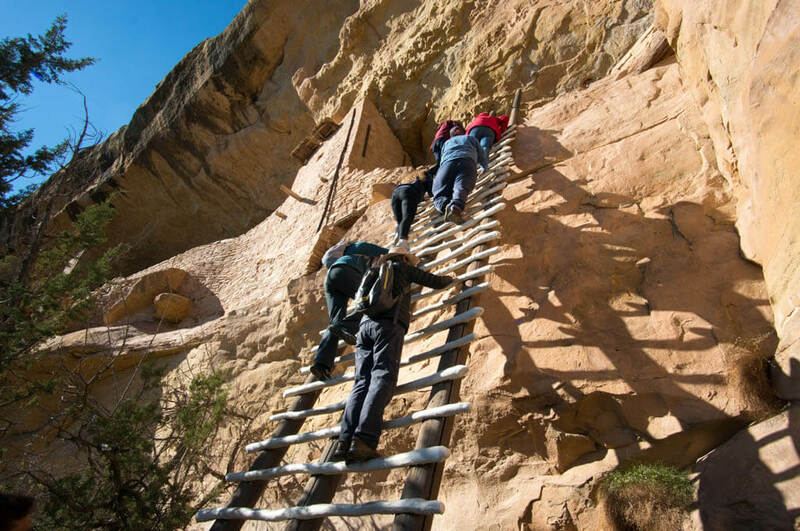 After the tour of the cliff dwelling, we had one final ladder to climb. This one was not as wide so you had to go up single file. We said our goodbyes and thanked our guide once we were back up at the mesa top. The tour in total took about 2 hours, which could be more or less time depending on the group size. I really hope to return someday and take the other tours! 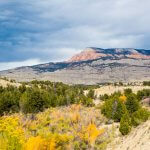 Read more about the sites to see on Chapin Mesa, in Mesa Verde National Park! Save this article for later on Pinterest! 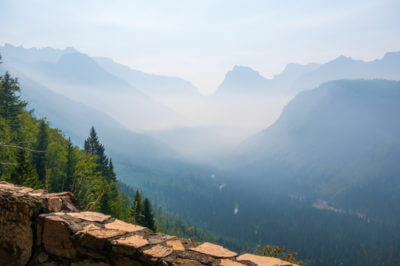 Wow, I was about to say, imagine waking up to that view every day and then I read your caption haha, but for real, they had prime real estate. 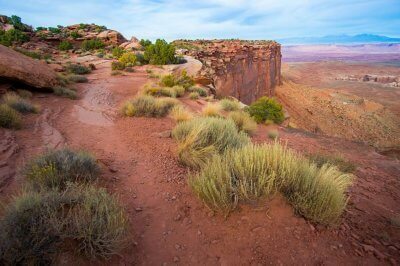 This is one place in the southwest I have been dying to go, thanks for the virtual your. Oh my that crawl way looks tiny. I experienced something similar when i crawled through the Cu Chi tunnels in HCM City, Vietnam. Hat’s off to people who devised such techniques in old days. Your tour photos are great with informative captions. I did not know about this place earlier. Yeah we’re not used to going through such small tunnels and such, I think they also made it as a protective measure against any enemies. 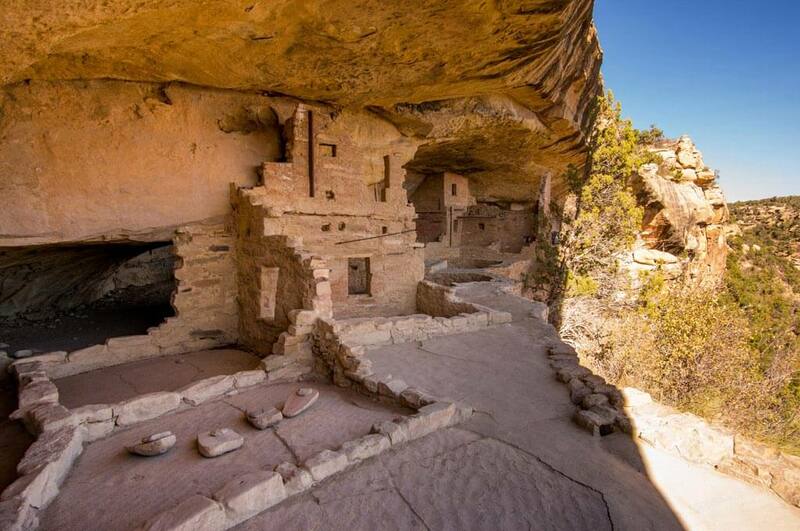 I visited a similar cliff dwelling in Arizona. I can’t remember the name, but I enjoyed it! Lovely photos! The views are great, but the ladder looks scary. 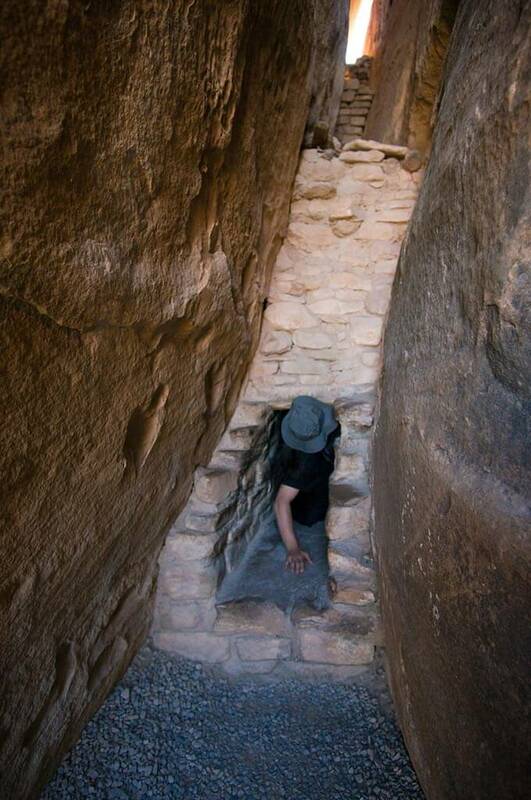 But this ladder and narrow passage reminded me of our trip to Lower Antelope Canyon. But all of that seems worth when you experience great views. Wow, this looks amazing! I really like the mountain views. And the steps are so cool. I’d like to visit a place like this. It really wasn’t too bad to crawl through, like I said it wasn’t long..I had my winter coat on and a back pack and was fine! The narrow passage ways are a little scary!! Such a great place though! 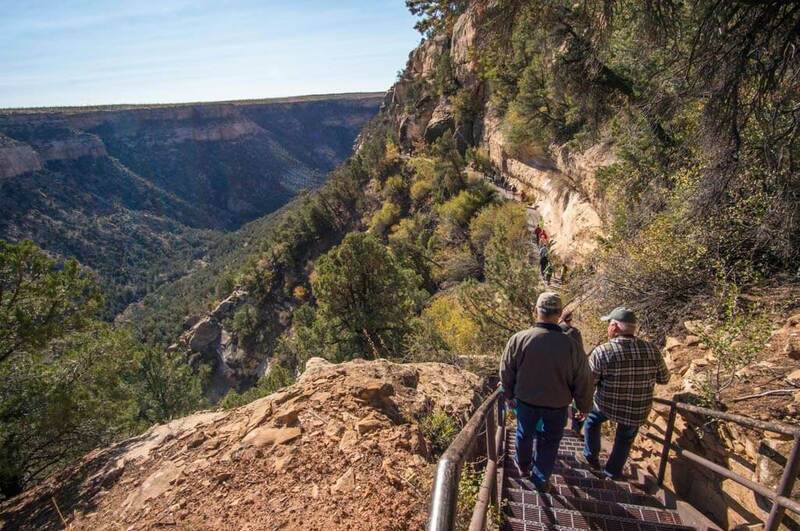 I’ve been in Colorado for 10 years now and Mesa Verde has been on my bucket list. 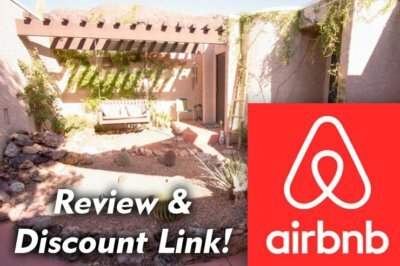 We had it booked and reserved a few years ago and the wildfires up that way caused us to cancel. Time to get it back on the list after seeing your photos. Was it scary climbing that one ladder that went straight up the cliff face? Oh, yeah I heard there are lots of fires on Mesa Verde(also saw all the dead trees on the mesa top from them! ), hopefully you’ll be able to get there soon as it’s a really cool place! I was a bit nervous climbing the ladder, but seeing everyone else do it gave me courage, and it really was an easy ladder to climb-the rungs were really wide, you had plenty of space and could take your time! 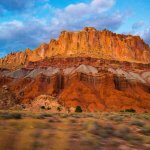 Subscribe to get Travel & Art Inspiration once a month to your inbox! Sometimes we need to get away and unwind from the daily stresses of our busy lives. Creating art is therapeutic in so many ways, as is getting outside and seeing new places-even if they're in your own back yard! 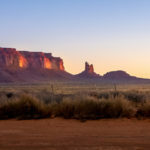 This site is being filled with travel guides to National Parks and other neat places around the world to give you tips and advice on visiting. 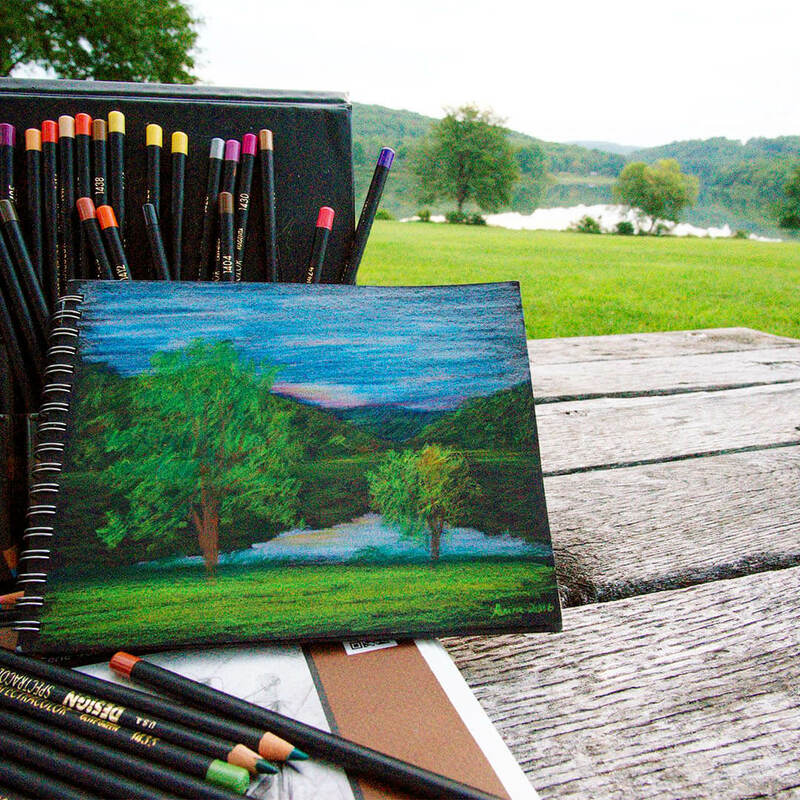 There are also tutorials on exploring various art mediums and photography to help get you started. 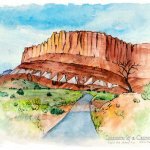 Hope you will find something here to inspire you to get outside, and create art! 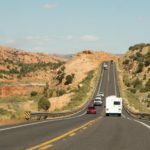 The All American Road, Utah Scenic Byway 12 is said to be one of the most beautiful drives in the whole country! 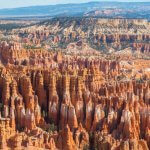 Only have one day to see Bryce Canyon? No problem! 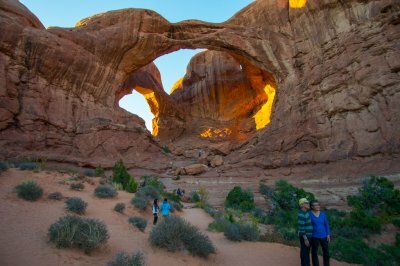 You can still see a whole overview of this beautiful park, and even go on a small hike with just one day! 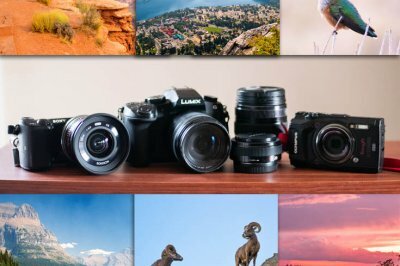 Join the community at Camera & a Canvas to get Travel & Art Inspiration once a month to your inbox!